Rajasthan PTET Result 2019 will be declared by Government Dungar College, Bikaner. The result for Rajasthan PTET 2019 is only published online, on the official website. Candidates can check their PTET 2019 results by entering roll number or general details. Rajasthan PTET 2019 will be conducted for B.Ed admission, offered in various colleges/universities of Rajasthan. The PTET and Pre. B.A.-B.Ed/B.Sc-B.Ed – 2019 both entrance test will be held on May 12, 2019. Candidates who qualify the exam will be called for the counselling procedure of Rajasthan PTET and Pre. B.A.-B.Ed/B.Sc-B.Ed 2019. 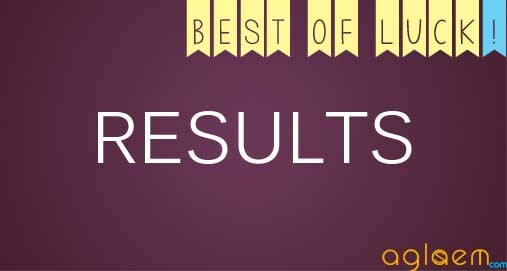 To know more about Rajasthan PTET Result 2019, candidates can keep reading! It should be duly noted that the candidates will also receive the intimidation about the Rajasthan PTET 2019 Result on their registered mobile number via text. Candidates can refer to the table below to get a brief idea about the Rajasthan PTET 2019 admission timeline. Result Announcement To be announced! Check Result: Candidates can check the Rajasthan PTET and Pre. 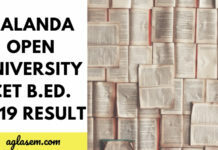 B.A.-B.Ed/B.Sc-B.Ed Result 2019 from www.ptet2019.org. 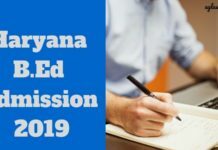 How to check Rajasthan PTET Result 2019? Candidates can check their Rajasthan PTET 2019 Results by clicking on the link above. Candidates will then have to enter their Roll Number or Name, Mother’s Name, and Date of Birth. Once they have entered all the required details they will have to click on the proceed option. The Rajasthan PTET and Pre. B.A.-B.Ed/B.Sc-B.Ed 2019 Result will be displayed on the screen. Candidates can download and take a printout of the results for further use. Note: It should be noted that the candidates will not receive any intimidation about the result or selection for Rajasthan PTET 2019 through the post. The candidates will also have to download the Rajasthan PTET 2019 result and keep a copy of it. It will be needed in later stages. Rajasthan PTET 2019 Merit list is prepared on the basis of the individual scores, obtained by a candidate in PTET 2019. Chronologically, the names of selected candidates are then prepared by Government Dungar College, Bikaner and will be released on the official website. Selected candidates are then called for counselling round and need to do choice filling in online mode. While filling up choices for Rajasthan PTET 2019, a candidate will be required to pay a requisite amount of fee in online mode. B. Ed Admission Allotment Letters are issued to invite the qualified candidate to freeze the seats and complete the admission process at the centre. ID Proof (Ration Card, Bank Passbook, Voter Card, DL, Adhaar Card Etc). This roll number is showing invalid so check it once.